Turkey: An interesting case of a 16-year-old non-diabetic girl who developed hyperglycemia and later died following ingestion of over 35 tablets of metformin in a suicide attempt, has been published in the International Journal of Clinical Pediatrics. Sabiha Sahin, Osmangazi University School of Medicine, Eskisehir, Turkey, and colleagues present the case of a 16-year-old non-diabetic girl who ingested over 35 tablets (Glucophage Merck 850 mg) of metformin in a suicide attempt. She was presented to the pediatric emergency department with severe lactic acidosis and a progressively increasing serum glucose level. She was in a coma state at the time of admission, Glasgow coma scale was 3/15 and arterial blood pressure was 106/45 mm Hg. Arterial blood gas (ABG) analysis indicated severe metabolic acidosis (pH 6.7) with high anion gap -30.5, PCO2 13.2, HCO3 3.9, BE -30, lactate 14.54 mmol/L, blood glucose 497, amylase 531 IU/L, and uric acid 10.47 mg/dL. Serum ethanol, acetaminophen, and salicylates were measured and found to be undetectable. Electrocardiographic monitoring demonstrated a narrow-complex sinus tachycardia. She was intubated, totally 2,000 cc/m2 fluid and NaHCO3 were given, and insulin infusion 0.1 units/kg was started for blood glucose of 497 mg/dL. But the patient suffered several cardiac arrests with pulseless electrical activity and ultimately expired 25 h after the ingestion. The patient was transferred to pediatric intensive care unit (PICU) for high-volume continuous veno-venous hemofiltration (CVVH). Despite the supportive care in ICU, she died due to multiple organ failures after 48 h of hospitalization. Metformin is a biguanide anti-hyperglycemic drug which is the most commonly prescribed oral agent to treat diabetes mellitus. It reduces hepatic gluconeogenesis and enhances peripheral glucose utilization. Unlike sulfonylurea-based oral hypoglycemics, metformin does not promote weight gain. It may be helpful in the management of some forms of obesity and is used to promote fertility in polycystic ovary syndrome. The bioavailability of metformin is 40-60%. Its peak plasma concentration is reached by 3.0 ± 0.3 h and it is completely absorbed by 6 h after oral ingestion. 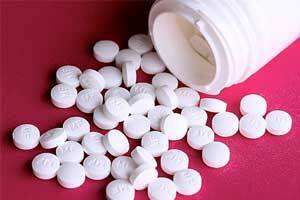 Overdoses with metformin are relatively uncommon but may have serious consequences. “Metformin-induced pancreatitis has rarely been reported as a direct complication. It has been found in the presence of renal failure or multiple drug ingestion. The progressive hyperglycemia early in the clinical course and fatal lactic acidosis should suggest acute pancreatitis related to metformin overdose. This case is the first metformin intoxication published case in the pediatric group with hyperglycemia and acute pancreatitis,” concluded the authors.